In 2006, Hasbro started a new Transformers line called the Titanium Series. Their selling point was that these Transformers were die-cast. 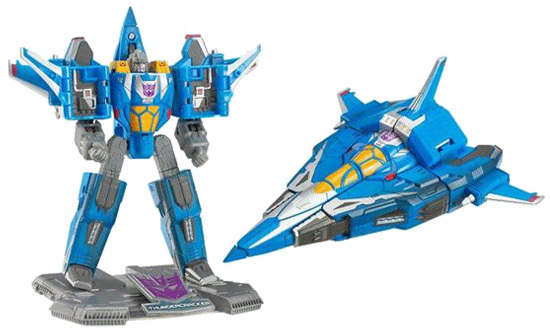 As part of their 2nd wave, they released a pre-Earth version of Thundercracker. Instead of transforming to his usual F-15 Eagle jet, he transformed into a triangular space ship loosely based on his first cartoon appearance. Anyway I immediately scooped him up. Unfortunately, aside from the fact that he was die-cast, there was nothing else really great about the toy. The transformation was overly simplistic and the die-cast actually made him rather clunky. 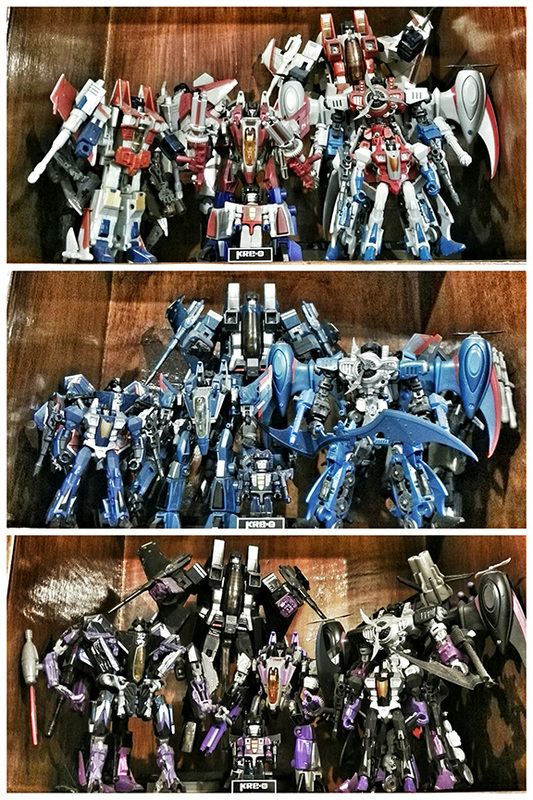 Needless to say, I chose not to continue on with the titanium line even if they eventually did release a Starscream and a Skywarp. Eventually though, just as I was about to give up hope that I would never get a pre-earth version of my favorite seeker trio, Hasbro finally came to the rescue in 2012 when they released “Fall of Cybertron” Starscream. Now “Fall of Cybertron” was a Transformers video game that took place in Cybertron…way before the Transformers made their way to Earth. So all “Fall of Cybertron” toys sported pre-earth alt modes! Eventually both Thundercracker and Skywarp versions soon followed and just like that I finally had a decent trio of pre-Earth seekers in my collection! The next version of the trio I got was a bit more of an investment. In 2006, IDW comics published a Transformers mini series called “Hearts of Steel”. 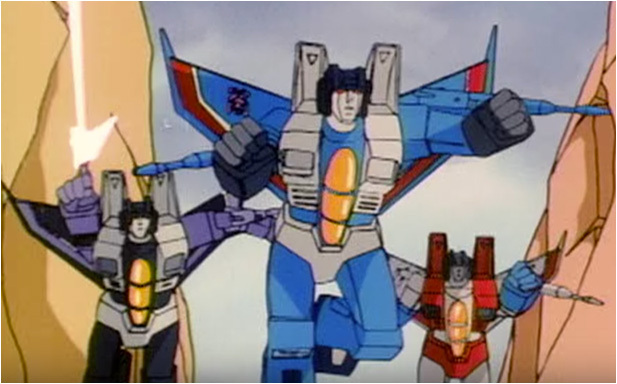 The premise of which was that instead of awakening on Earth in the 80’s, the Transformers woke up much much earlier….a whole century earlier, during the time of the industrial revolution. So as a result, both Autobots & Decepticons ended up adopting steel and mostly steam powered alt modes…well mostly trains. 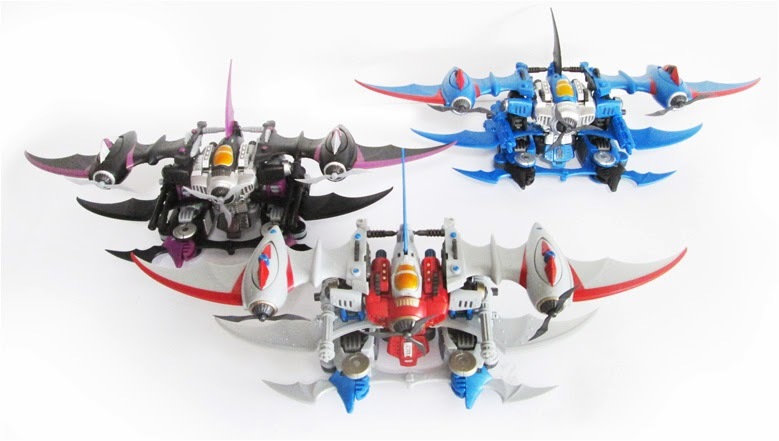 Starscream was re-imagined into this wicked bat like flying machine. Third party company Mastermind Creations decided to do their own version of this re-imagined seeker and the results were quite stunning. Now these are definitely not the most durable Transformers out there…in fact my Skywarp came shipped with a broken propeller (which the online retailer remedied with a free replacement part), but they look pretty amazing on the shelf in both robot and alt mode. Plus, the options you have with their weapons give each seeker a sense of uniqueness. Finally, the last set I got just so happens to be the smallest. I was just looking for some variation in my seeker display when I got these guys. 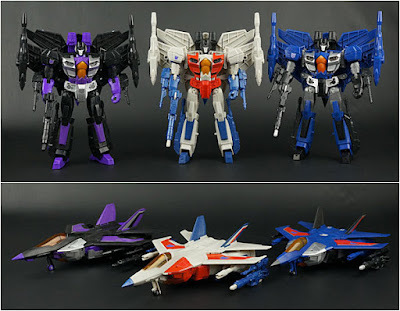 Little Legends class versions of Starscream, Thundercracker and Skywarp. Don’t let their size fool you though…they are really cool toys with quite a good range of articulation for such small toys. I found Starscream on major clearance which helped me justify getting the other two and adding yet another complete seeker trio to my collection. Now there are 2 more seeker sets I am currently eyeing. One of them is I-Gear’s Raptor squadron. 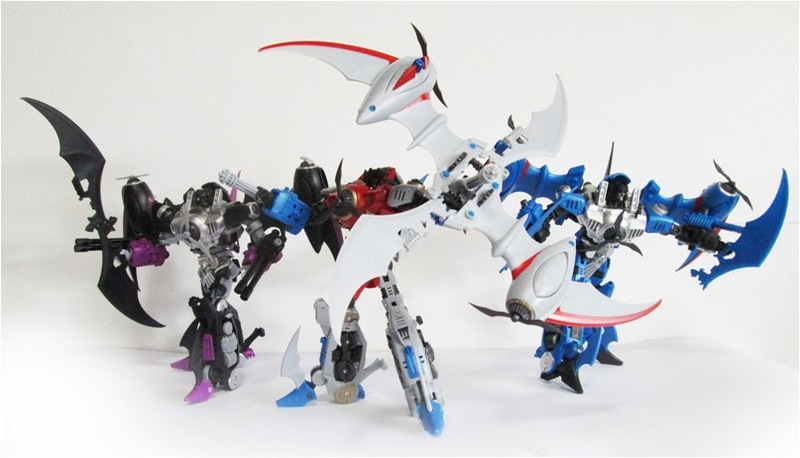 These seekers are based off their more modern designs where they transform into F-22 Raptors. I’m a bit iffy on the over all robot design though, something doesn’t really sit right for me. And the price of the trio is enough to keep me away for now, but who knows…. And finally we have the mass retail Leader class versions of the seekers. This design is a major retool of the excellent Leader version of Jetfire that Hasbro released in 2014. Unfortunately, I find this retool a little…forced, not a big fan of it. But these guys are basically clogging up store shelves that the likelihood of them going on clearance is pretty high. If they do, then I just might cave…but at full retail, I just don’t think they’re worth the trouble. Besides, at the rate I’m going, I’m definitely going to be needing a new shelf to house all my seekers…..